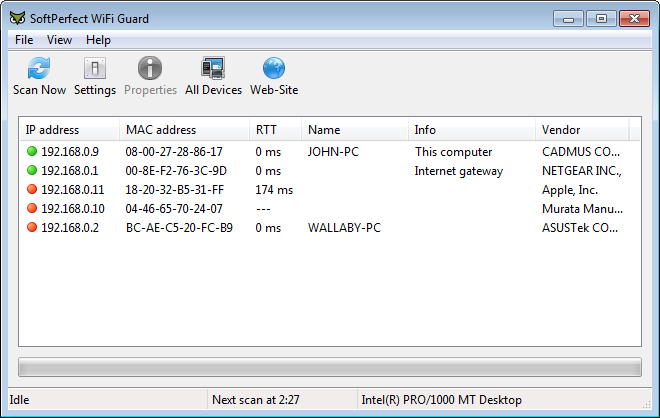 Beautiful program, characterized by lightness, as it allows you to control Rutter Wi-Fi of any attempt to penetrate. 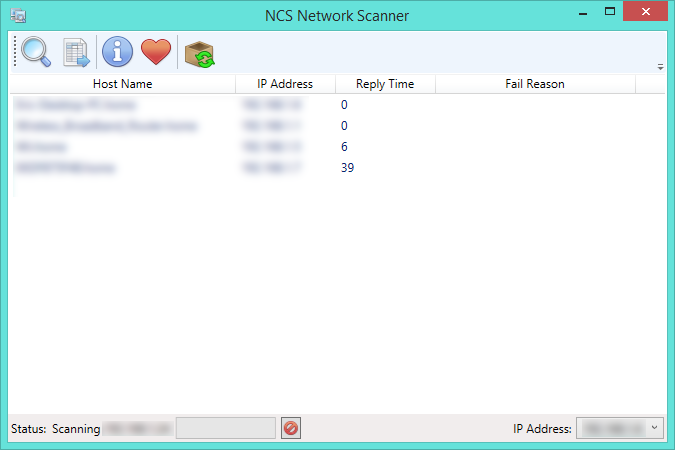 Through the program can control more in surveys (scan) that you want to do, for example, can be devoted to the time of the survey process began from one minute to 60 minutes, and this means that the program every minute or 60 minutes will perform a new survey of the network in order to discover if there was another computer share with you online. Otherwise P Soft Perfect WiFi Guard will show you a small permeated emerge when all automatic scanning process in order to tell you the results of the search. Mimes this program that you can find in a portable version, without any need to Taatbeth. The program also shows a lot of information about the devices connected to the network, for example: IP addresses, addresses the physical (MAC), the manufacturer of the card network ... and others. 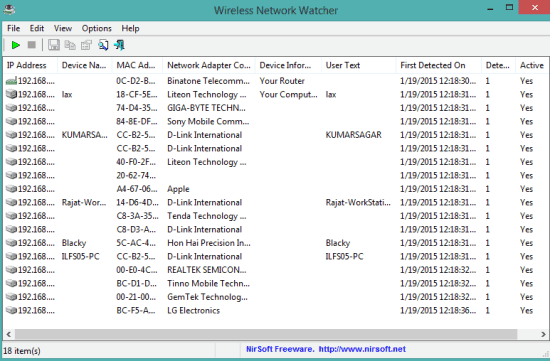 Other program of Wireless Network Watcher also provides you with the possibility to export a report from the state of the network in the form of an HTML file or text TXT.